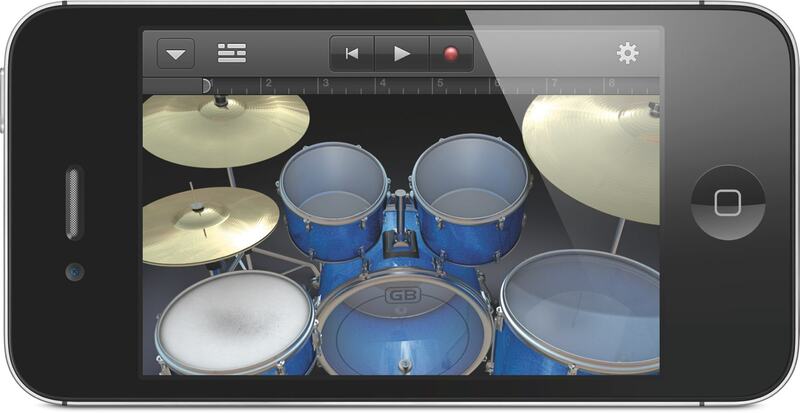 Apple’s GarageBand music creation and amp simulation on iPad is now also on the company’s handhelds, with iPhone (3GS, 4, 4S) and iPod touch (3rd-generation and better) support. You only have to buy GarageBand once; the app runs on all those platforms, so if you had the iPad version and also own a compatible device, you can automagically add it. The iPad is definitely the roomier device, so what can you do with the handheld? 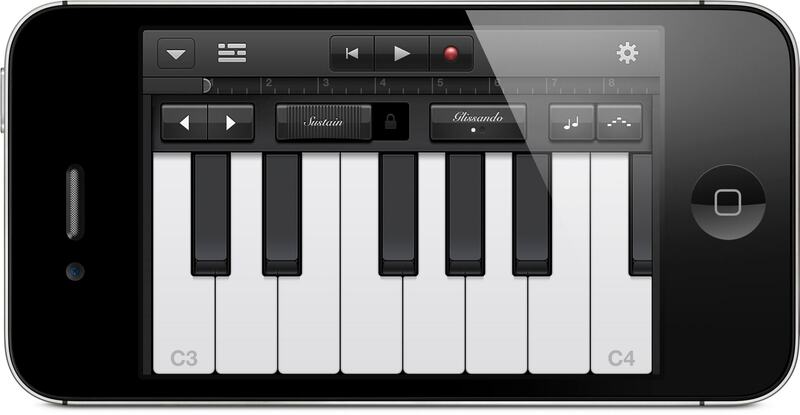 Touch Instruments (pictured here) let you quickly tap out musical ideas. Amp and stompbox models work. As I’ve said in the past, that makes the handhelds into usable practice amps or pocket-ready effects boxes. Lay down multiple tracks (recording external audio one at a time), and edit in a simplified GarageBand track editor. You can still exchange files – up to eight tracks of recorded or generated music – with GarageBand and Logic on your Mac. That makes this a usable pocket sketchpad. In short, not only does your Mac have little to fear, the notion is that these handheld apps could actually give you added incentive to do production back on the desktop. Also in this update are features that will be useful to the iPad version, too, but are clearly intended to make the palm-top edition more usable. “Smart Instruments” let you play along with chords – ideal if you can’t quite twist your fingers into strumming positions on your phone. And there’s a historical musical precedent for this, too: think autoharps and frets and capos, musical innovations intended to make playing an idea easier. If you want a bit more sophistication, the instruments expand to provide features like glissando, Leslie simulation, tuners, and so on. Our friend Jim Dalrymple of Apple-focused tech site The Loop spots other enhancements. If you discovered the previous version frustratingly didn’t let you change keys without transposing audio, or didn’t let you set 3/4 or 6/8 time signatures (“do I hear a waltz?”), those holes have been patched – useful in the iPad version, too. Also, you can export to AAC or uncompressed AIFF even without going via GarageBand or Logic, a helpful issue. But this is all feature talk. What’s impressive to me is the way Apple has boiled down the interface of GarageBand into a smaller space. What’s left is only what is strictly necessary – complete with some photo-realistic imagery, yes, true to Apple’s notion of polish and texture. It makes a stunningly clear and obvious interface design, and that to me is inspiring: not as something I hope other developers will copy, but the kind of clarity I hope they’ll find in their own voice. 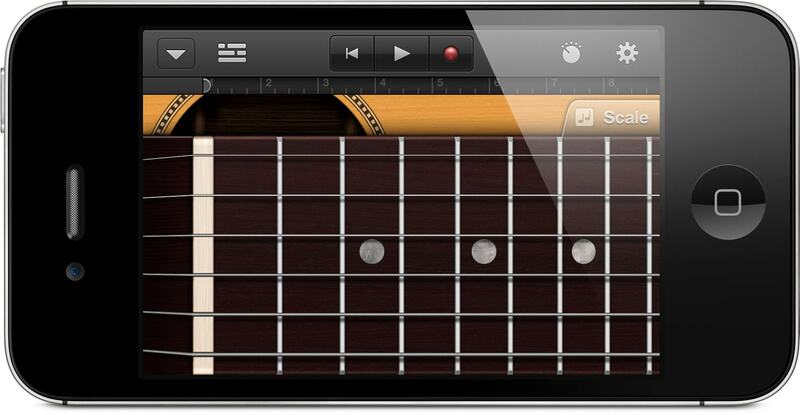 After all, GarageBand for iOS shares DNA with Logic, not just mobile apps, and therefore a far more complex heritage. Playing the glass surface of your phone as a musical instrument is likely to be relatively limited – compare a tangible instrument, which feels fun to play. But as a sketchpad, and as a pocket reduction of other things, this has appeal.